We Do INFRARED Inspections along with MOLD, Allergens, ASBESTOS AND LEAD testing. 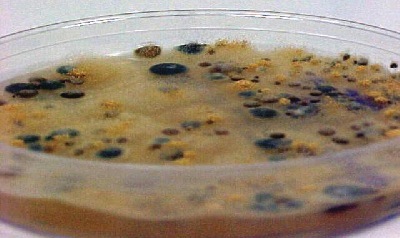 Todd is a CERTIFIED MOLD ASSESSOR 2008. And National Home Inspector 2007, A Nationally Licensed Radon Inspector. 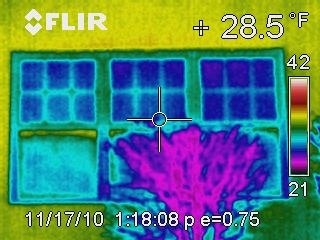 INFRARED Inspections are just one of the type of inspections we do. Call us for the other inspections we do. Thermal imaging is a technology that allows the Thermographer to show you things about your home/structure that are not possible to achieve using other inspection methods. Thermography is a "heat diagram" or a visible picture using the infrared spectrum of light. This imaging technique is a powerful and noninvasive means of monitoring and diagnosing the condition of buildings. IR inspections can provide immediate documentation of as-built and post-restoration conditions, post-casualty cause and origin data, plumbing and building envelope water leakage, post-flood and fire/water damaged material assessment that could lead to mold, energy inefficiency (missing, damaged, and/or wet insulation, heat loss and air infiltration in walls, ceilings, floors, windows and doors) and electrical problems (Electrical faults before they cause a fire, overloaded and undersized circuits, circuit breakers in need of immediate replacement). 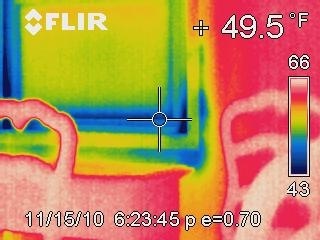 Thermal imaging helps to diagnose the problem rather than merely identify symptoms. In the meantime you can reach us at 763-797-0456 and by fax at 763-512-7227. We are looking forward to hearing from you. You can also contact us at our e-mail address: bmh_inc@bmhpropertyservice.com. If you are not familiar with our company and your first contact with us is online: WWW.BMHPROPERTYSERVICE.COM We would be pleased to hear from you! Please let us know what your needs and questions are, we will be more than happy to help. In brief, you should know the following about us: our company was established in 1988 and had been responsible for providing outstanding Property Service ever since. Our specialty is in the area General Maintance and Repair of Commercial and Residential Property. Our regular customers particularly value Our attention to detail. Our business is located at 7600 Wayzata Blvd Golden Valley,Minnesota 55426.